you with all of your HVAC and Plumbing concerns. Your Full Service Comfort Destination. 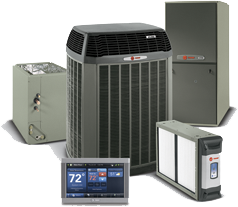 JC's Heating and Cooling wants to be your air care company of choice. From repairing and maintaining the equipment you depend on, to installing a new high-efficiency system, you can rely on for many years to come. You can count on JC's for the prompt, professional service that gets your project done right. We're not a "one and done" company; our business is built on referrals and repeat customers, and we'd love to count you among them.